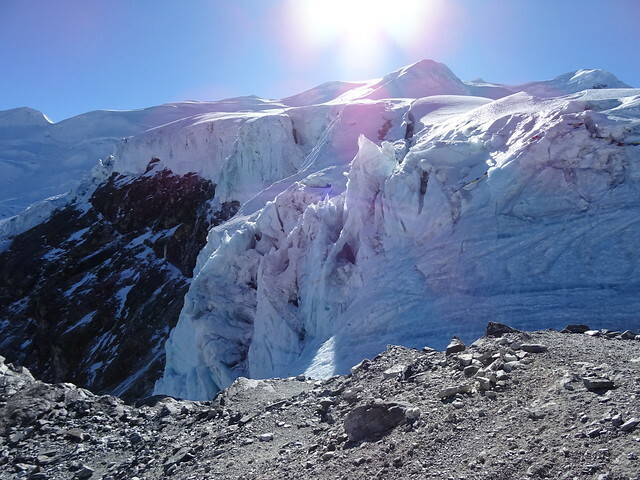 Happy Christmas from High Camp!! 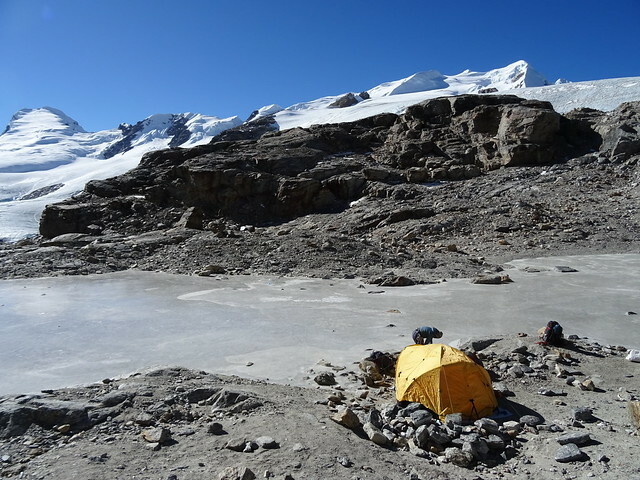 I’m so excited to be at 5900m and sleeping here for the night. Although I’m also wrecked and my appetite has finally left me. 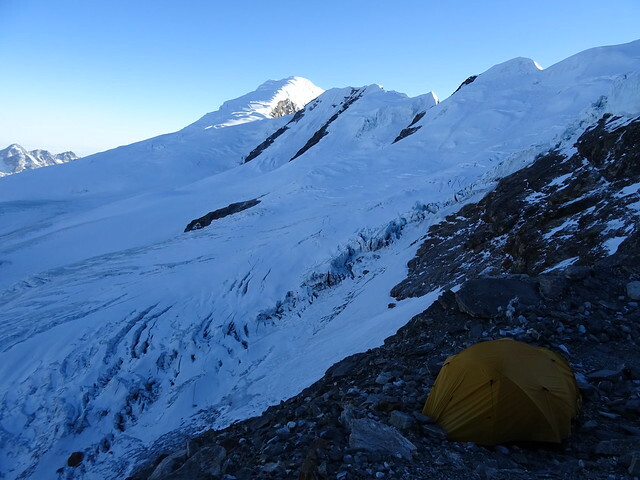 We woke to gorgeous sunshine at our camp on the Mera La, a fantastic start to Christmas day. 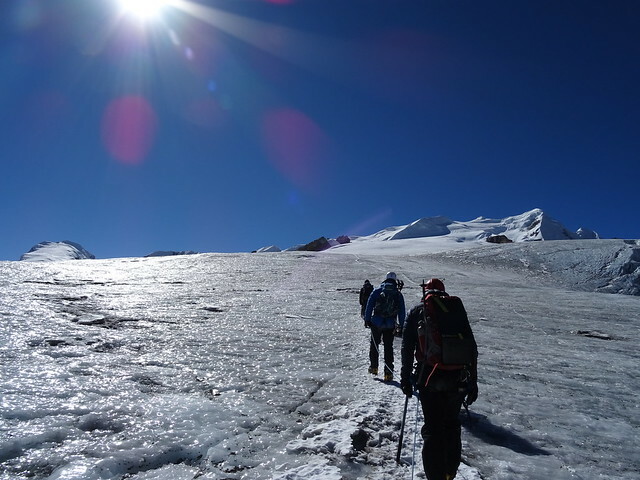 We had a slow start to the day to give our team chance to come up to the Mera La and pack up and head off before us. 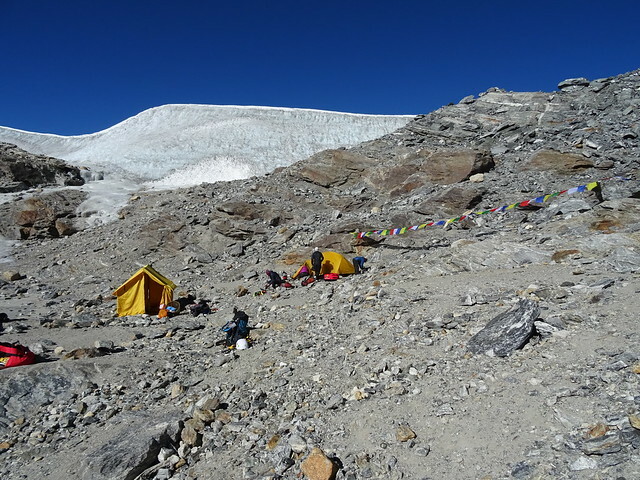 It seems a lot of effort that they didn’t all stay here the night with us, but then it would have meant more equipment and ultimately more porters. 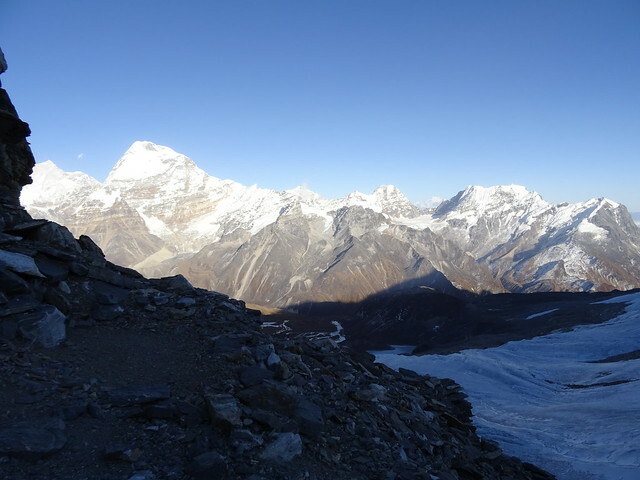 And frankly they’re so fit that I can see why they would want to head down to Khare where there’s a (relatively) real bed, a stove for warmth and a supply of whiskey and Raskshi. 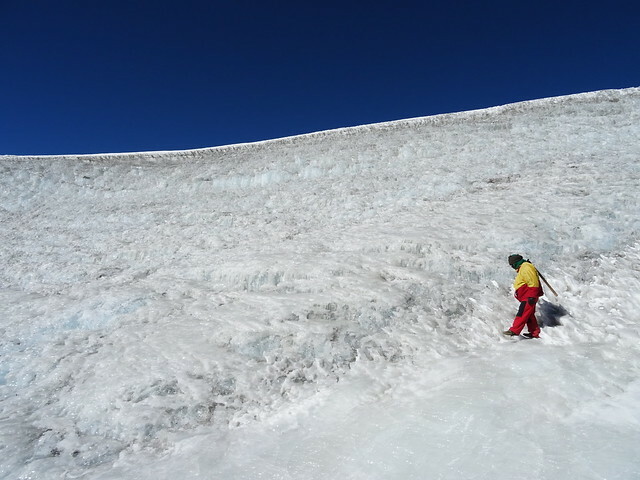 Unfortunately as we put on our crampons to continue up the glacier, April decided she had done all she could and decided to descent to Khare. 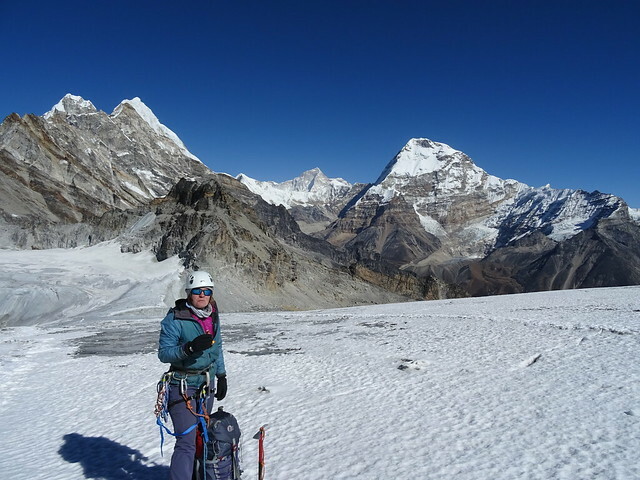 It was sad to lose a team member but she made the right decision for herself, and while we’ve not really walked very far today it has certainly been tough going in the wind and at this altitude. 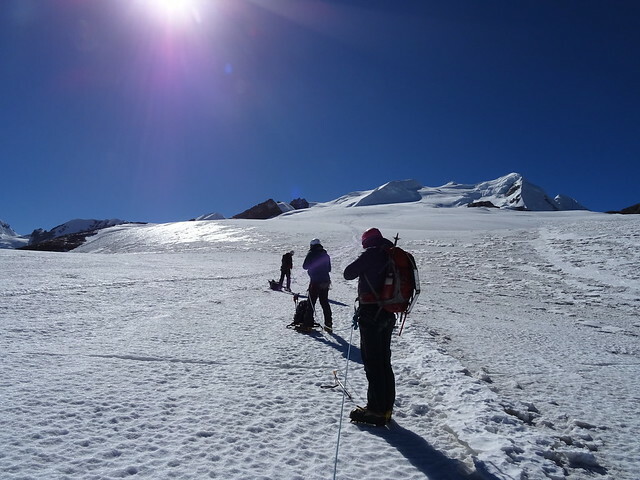 We also couldn’t head directly up as we had to wind our way around the crevasses and so it took us all day to walk about 5km and climb 580m. Really slow going. 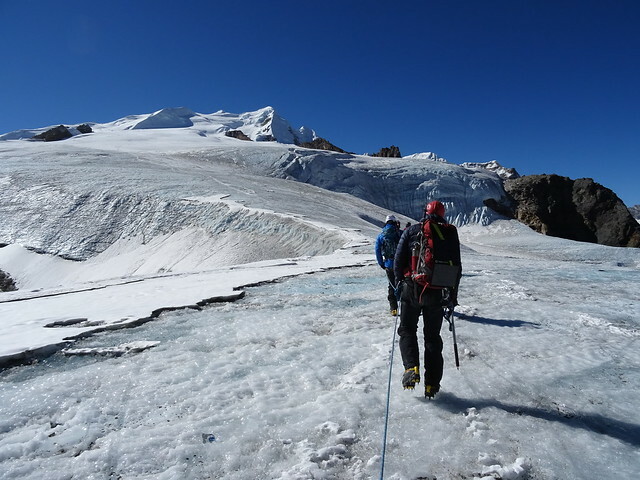 It’s hard to describe the effect of altitude to someone who hasn’t experienced it – the best I can say is that any normal movements such as walking, become a big deal. 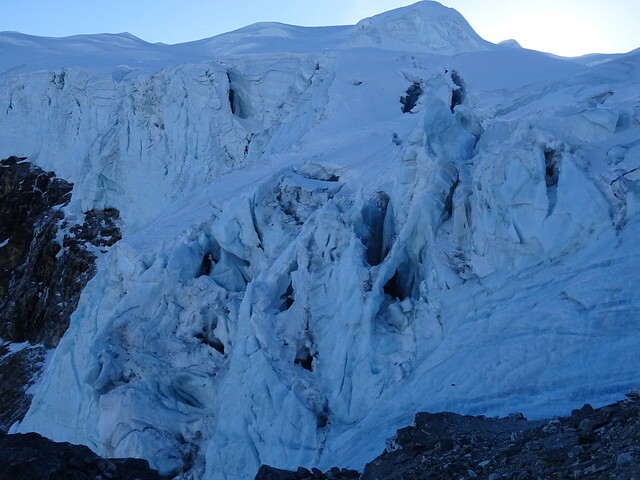 Walking and stamping crampons into concrete hard glass ice makes my leg muscles ache and my lungs scream from the lack of oxygen. Here there is only 50% as what there is at sea level. My heart races like I’ve run a race and I’m only shuffling along. 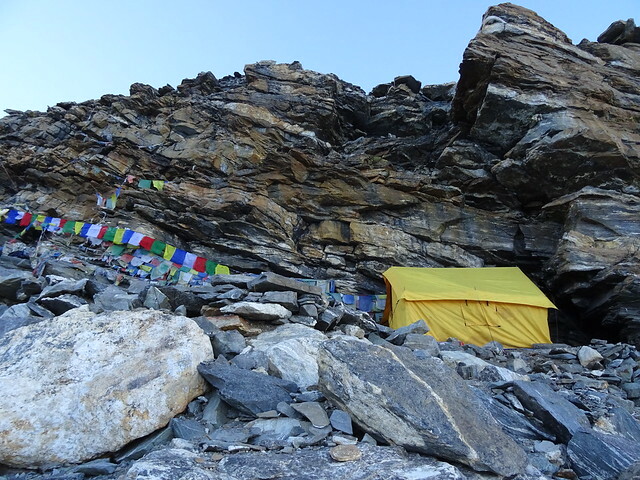 I certainly felt drained when we arrived on the rocky ledges of high camp. It took me a while to recover before I could really appreciate where I am. 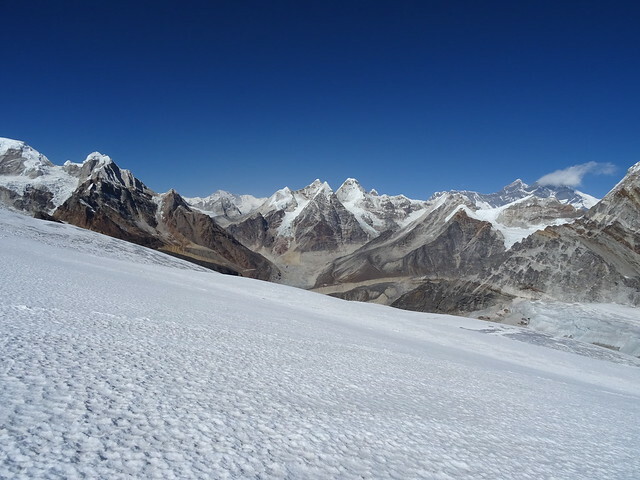 It is truly amazing to be here looking at the Mera La so close to the summit. 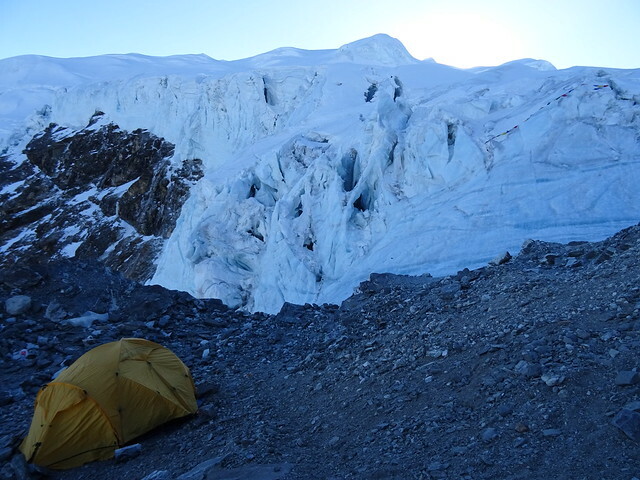 However the ledges we are camped on are ridiculously small and its a REALLY long drop below! Not that you can tell from these photos. 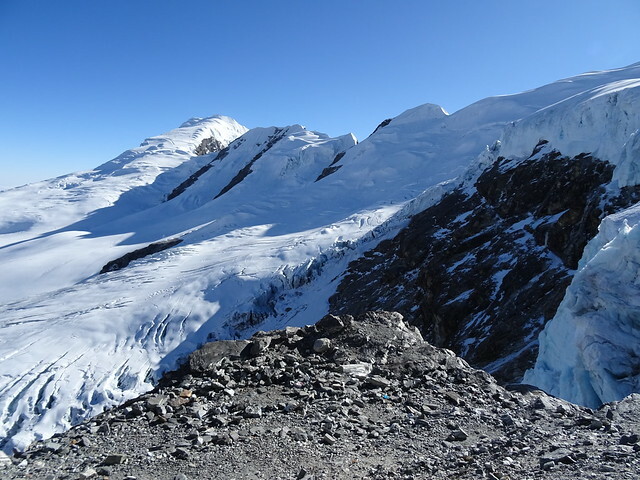 We’ve had soup and stew in bed and the plan is to head to the summit at 2.45am – which will give us enough time to get up there and back down all the way to Khare. Its going to be a long day.